Blog How Much Is Amazons KU/KOLL Actually Worth? How Much Is Amazons KU/KOLL Actually Worth? Back in the Summer Amazon announced their new ‘Kindle Unlimited’ subscription service. 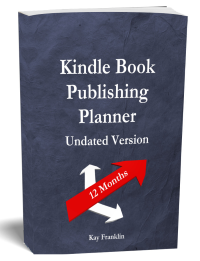 I wrote a post about it at the time (Kindle Unlimited – Good or Bad?) trying to answer the question as to whether this would be a good thing or bad thing for kindle authors! A few months have gone by now and therefore I have collected some data about how much money a book is worth when someone downloads it through the kindle unlimited service. 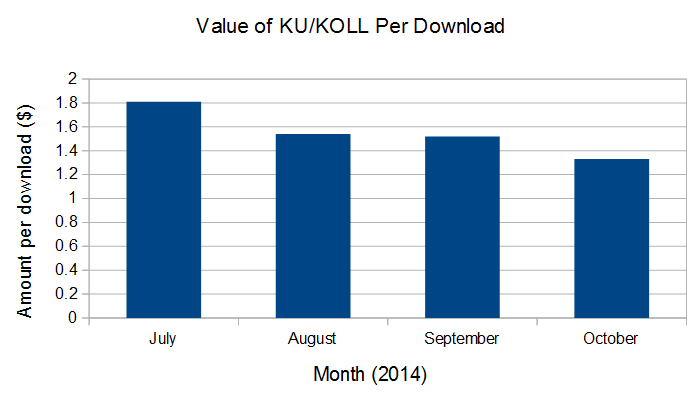 This type of download appears as KU/KOLL on your monthly sales report so it is easy to see how much it is worth. It’s looking interesting! Currently, most of my kindle books are priced at $2.99 which means I would receive 70% royalties. This equates to around $2 per purchased download (give or take some depending on the file size). So I wanted to see how much per KU/KOLL download I was receiving. So I have received between $1.81 (July) and now $1.33 (October) per download. 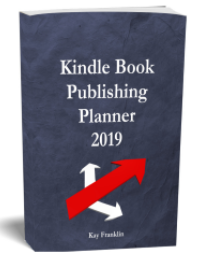 The decrease in value per download is most likely due to the increased number of people signing up to kindle unlimited and perhaps there is a slight impact from an increase in Authors signing up to KDP. However, bear in mind that the more people who join this service the more potential downloads through that service! Therefore the value per download might be less but the number of downloads is more. Since making money through the kindle unlimited program was not my main concern or aim (I’m more interested in the increased audience it provides) I am quite pleased with how much income it has generated. A bonus as far as I am concerned! So is it worth signing up to KDP select? I certainly believe so!